I usually publish reviews of concerts in Oslo just for a Norwegian audience, but I think this concert review can be of interest for the international NCS audience. The NCS statistics for 2018 were really cool. I must say I was impressed with the amount of visits (more than 1.7 million) and I’m pretty glad we have readers from more than 100 countries all over this small planet. I would like to thank everyone who supports NCS and all those who read my occasional contributions. It is my wish for 2019 to be able to contribute even more! The first thing that caught my attention when I saw the line-up for the concert that took place the 19th this month was Svart Lotus. I had heard about the band before and knew it was 1349‘s bassist who was behind the project. But as to what the other band playing Riders of the Apocalypse could be exactly I wasn’t sure at first. 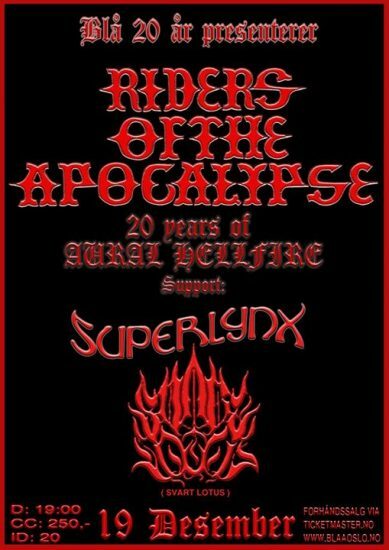 The other band scheduled to play was going to be Superlynx, and I had heard from some rock-knowledgeable friends that they were good, but I hadn’t really checked the band for myself as I tend to have just enough time for metal. So I figured I would go based mainly on the 1349 connection. The Riders of the Apocalypse mystery unfolded for weeks on Facebook. The 1349-style logo of RoA gave away a hint that became super-apparent some weeks before the concert when the words “Aural Hellfire” appeared together with the familiar logo, and yeah, I could then savour the 1349 show to come. So now you know what that means if it happens to you some day! The name change from 1349 to RoA meant that fewer people than usual attended. That fact made it a pretty good experience for me since previous concert that I had the good fortune of attending was the last Monthly Assault in Switzerland. It was a cool gathering of Brutal and Slamming Death bands (Brodequin, Devourment, Korpse, Extermination Dismemberment, Defeated Sanity, Wormed, Ingested, and Dynamite Abortion, among others) but it left me with several bruises and a small cut — yes I bled for slam! I was hammered as well, with small inflatable hammers that is, courtesy of Norway’s slam gods Kraanium. So, nothing better than a small and quiet Scandinavian crowd after that weekend. It was an awesome and intimate experience as well, compared to previous 1349 experiences that brought a huge number of attendees at big festivals like Hellfest and Netherlands Deathfest. The songs performed by Riders of the Apocalypse included “I am Abomination”, “Exorcism”, “Sculptor of Flesh”, “Chasing Dragons”, “Riders of the Apocalypse”, “Slaves”, and a brand new song from the upcoming album! That was perhaps the best bonus and a good X-mas gift to us. The song is called “Dødskult“, if my memory does not betray me. The new song has awesome Hellfire vibes and what I remember as melodious and warm guitar riffing in the beginning — which I bet is going to turn out pretty different in the album itself, as it tends to be with 1349. Some hellish atmosphere, which can hardly be added live, may be present later, as the beginning of the song was unusually warm sounding. Anyway, I’m looking forward to listen to the finished song. What I recall the most regarding the new song is that it includes absolutely awesome, mouthwatering, neck-breaking blasting. Frost was displaying even more technicality as far as I could detect in the seconds that were given to me. I’m anticipating that album so much that I need this year to end now! 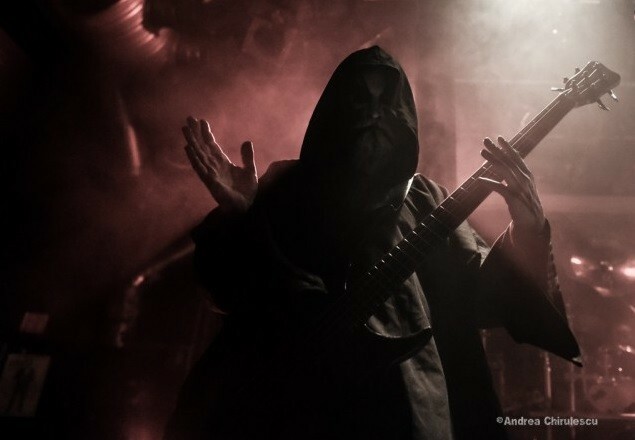 Svart Lotus is an interesting band that, as previously mentioned, is the project of 1349‘s bassist, Tor R. Stavenes. 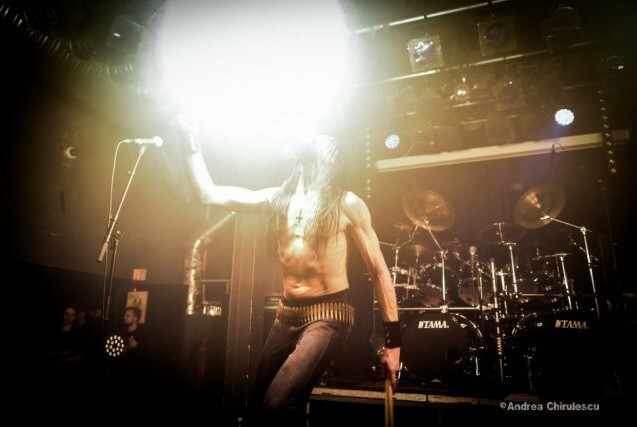 He also plays in another band worth checking out called Den Saakaldte. Svart Lotus bring a quite good mixture of proggy Black Metal with Death Metal moments that remind me of good old school Swedish Death Metal, and even Autopsy. The DM in songs like “Stemmer fra Dypet” and “Dagen Gryr” makes the proggy nature more dynamic and enjoyable. Their live performance was pretty much faithful to the album sound, and the different styles they brought into the music made me want to give that debut album, Stemmer fra Dypet, several listening rounds because the sound was so interesting. I think that if you make a diagram of the sound it will for sure end up containing several overlapping circles representing different influences. The song structures and their repetitive slow riff build-ups remind me a lot of first wave BM, particularly Celtic Frost. 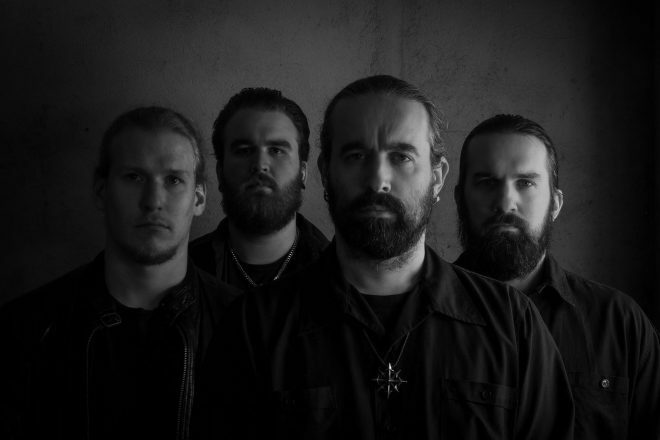 In addition the album is immersed in the soundscapes typical of early Norwegian BM, but tending to lean more towards the melodious harmonic side of BM things even though there are cold Immortal-like moments and dark atmosphere a la Gehenna (Nor). But that’s not all. Svart Lotus bring some grooviness to the mix as well, that reminded me of 1349. So yeah, it’s that, and there are even more things that I won’t list here, so you should actually listen for yourself here. It is a good, old-line yet rather interesting mixture — that is if one takes into account the diverse and weird modern directions in which proggy bands tend to take listeners nowadays. 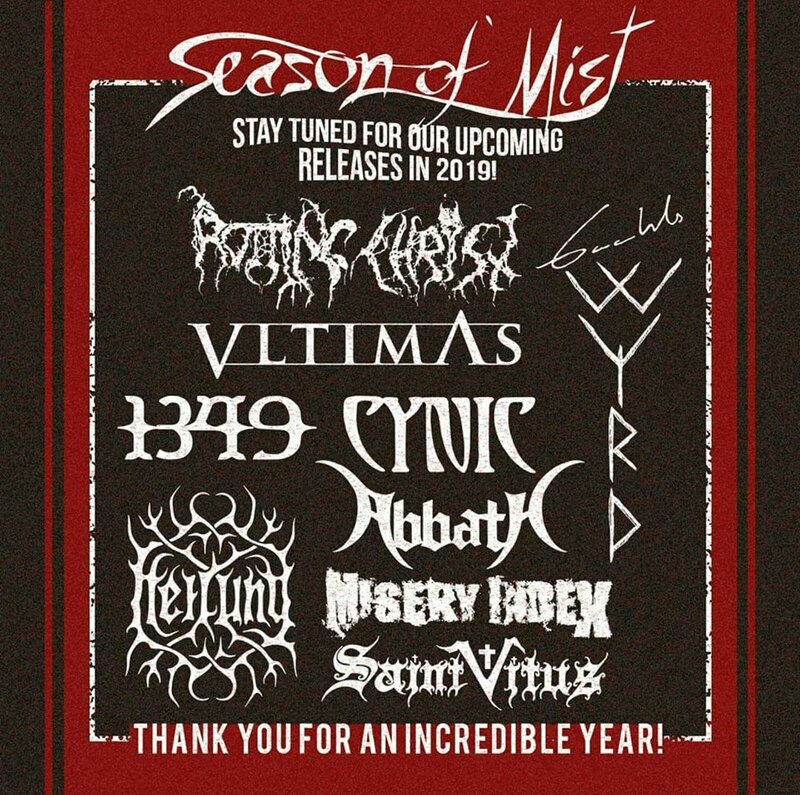 All in all, It was a good show, and I’ll definitely attend future Svart Lotus shows. You should definitely give their music a listen. Superlynx describe themselves as Doom/Psychedelic. But I would say it gave me some unexpected oriental vibes. I have delved into Oriental-influenced metal that I recalled right there in the concert for some reason. Superlynx counts with a female vocalist. I usually avoid female clean singing because I tend to dislike sweet, high-pitched vocals, except for flamenco (which I enjoy a lot because of the attitude). 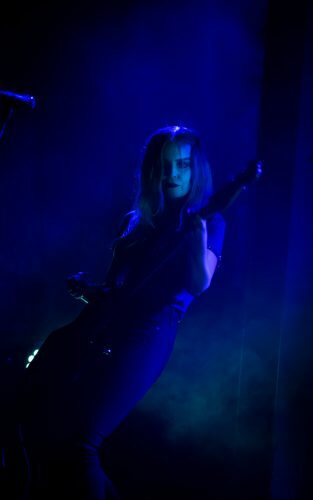 But I enjoyed the vocals of Superlynx’s Pia Eriksen for the same reason — her singing had an attitude to it. It isn’t just a sweet, unmemorable female voice. Because, in addition to having the Black Sabbath influence — typical of Stoner — it has some desperate, but rather quiet melancholy, the type of melancholy that makes Doom worth listening to. The live experience reminded me of Nirvana’s sad, depressive attitude (just downtuned), and perhaps not the kind of anguish-ridden desperation of SDBM, which could be a tad too much for a Doom band. It is a live experience that I would like to repeat for sure. The name of the new 1349 song was Dødskamp. Great show!